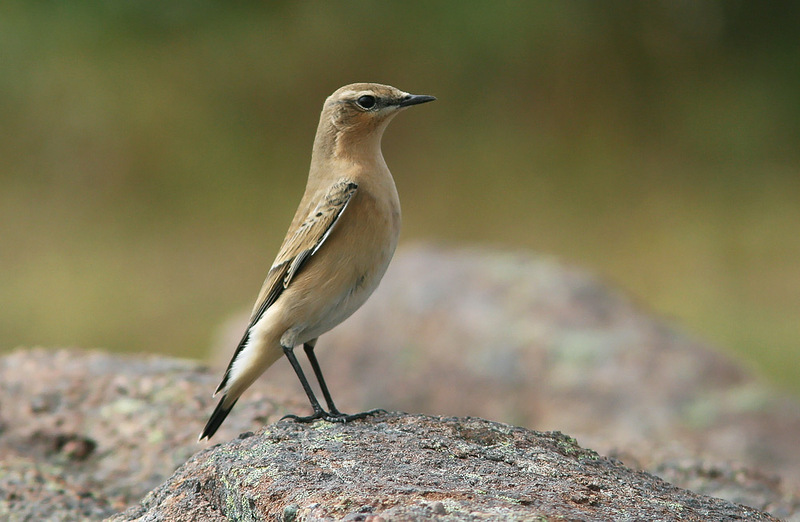 This Northern Wheatear was at Cape Spear in fall 2010. They are recorded annually in the province, both in spring and fall. Origins: Occurs across much of Europe and Asia, with footholds as far west as Greenland and Labrador. It is highly migratory, wintering mainly in Africa. Details: Recorded sporadically but annually in Newfoundland, during both spring and fall migrations when breeding birds in Labrador and/or Greenland migrate over the Atlantic to and from wintering grounds in Africa.There is one breeding record from Cape Pine (near St. Shott’s) following a record influx of birds in spring of 2001.